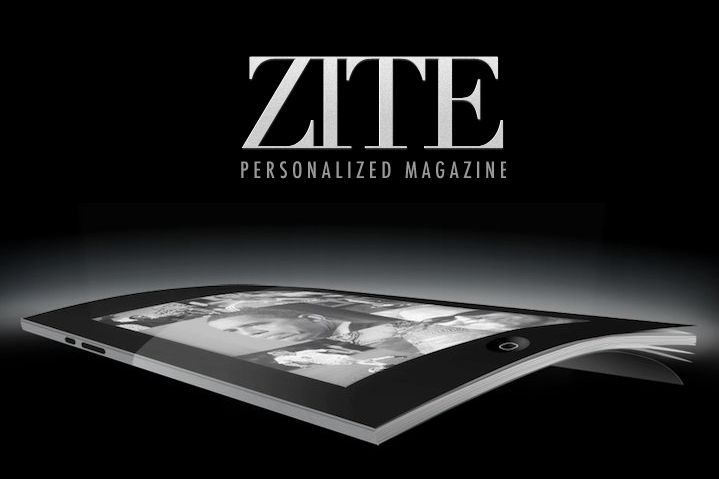 In an entirely too-predictable development, a group of media outlets has sent a cease-and-desist letter to the creators of Zite, a magazine-style aggregator for the iPad (s aapl). The publishers allege that by pulling in their content and displaying it in a more readable way — that is, without a lot of the extraneous website elements, including ads — Zite is guilty of copyright infringement. While this may be true in a legal sense, it ignores the bigger picture, which is that readers are looking for better ways of consuming content, and they aren’t getting it from traditional publishers. Why not learn from Zite and others like it instead of threatening to sue them? The letter to Zite from the group, which includes the Washington Post (s wpo) and the Associated Press (the full letter is embedded below or you can read it here), uses the standard legal language about “damaging our businesses by misappropriating our intellectual property” etc., and says the company puts publishers at risk by “reformatting, republishing and redistributing our original content on a mass commercial scale.” Much of this is legal grandstanding, of course, since Zite is a tiny startup based in Vancouver, B.C. whose iPad app is probably used by a tiny handful of information junkies (including me). But Zite isn’t doing anything that differently from plenty of other apps and services which are pulling in content from sites like the Washington Post and others named in the letter. Many apps that are essentially RSS-feed readers do this — including Pulse, which got slammed by the New York Times within hours (s nyt) of its public launch (although that dispute appears to have been resolved). Readability is a web plugin that strips out advertising and other site features, leaving just text, and is so popular Apple (s aapl) built it into the company’s Safari browser as a viewing option. Why hasn’t anyone sent Apple a threatening letter about copyright infringement? Designer Marco Arment’s Instapaper does fundamentally the same thing — although he and Readability are also trying to use their services to generate income for sites through a kind of tip-jar model. Some iPad apps provide a “web view” that effectively shows the entire originating news site in a browser window, but others such as Flipboard pull the RSS feed or scrape the site for content. Flipboard got in some hot water after it first launched as well, because it reformats and displays published content without ads or other website features, but it appears to have evaded the kind of legal threats that Zite has been hit with (Flipboard says it respects publishers’ wishes, and will remove or truncate feeds if a site asks, and Zite has said since receiving the letter that it will provide a full web view if publishers request it — CEO Ali Davar has posted a response here). The bigger issue here isn’t whether such apps and services are breaking the letter of the copyright law by reformatting content — it’s whether any media outlets are learning anything from what apps like Zite and Flipboard are doing, apart from how to file legal threats. Amanda Natividad notes at PaidContent that as a content producer, she doesn’t like the implications of what Zite and others are doing, but as a reader she enjoys it because it is so much nicer to look at. That’s the point the Washington Post and others are missing: As the way we consume media changes and evolves, a growing subset of their readers are looking for other ways to consume content through aggregators like Zite and Flipboard. Since no traditional media entity was smart enough to come up with those ideas first, why not figure out how to work with them or learn from them instead of just hitting them with C&D letters? I think that media companies need to start following the lead of the Guardian in the UK. They allow their content to be distributed through other applications through their API licensing. NPR do the same thing. The BBC experimented with this also with backstage but have since shut it down. As far as i know the condition is that if you scoop the full article you must 1)link to the website and 2) include their adverts. Hopefully we will see more companies follow this example. It time for them to start thinking about how they can extract value from single articles rather than through their site. There are tons of great content out there. If media companies dont want to promote their content through apps like Flipboard, Zite, Pulse and & PressJack then they will lose more audience. I would pay for the zite source code, complete a DIY, and gladly enjoy the app forever more. Those in opposition to zite definitely grasp the point and are going to need to come to terms with a loss in ad revenue from traditional traffic channels. What Zite is doing is stealing the content that a news organization either creates through their own resources, or pays for as part of a syndication fee. For example, if Gannett wants to us the AP news feed for Iowa, they pay an agreed upon $ per month. Why should Zite be absolved of playing by the same rules? Not to worry anything I click on that takes me to a web site I immediately click a finger down. So web sites that I MAY have gone to independently will not see me nor get any revenue. I hope they are happy with this business model! I think that everyone saw this coming once they realized Zite was using the full text of the articles in their app. The current situation is a little ridiculous – the publishers “tolerate” a certain amount of infringement, but once you step over this unspoken line, you get a c&d letter in the mail. The changing times force them to be more and more tolerant (remember how everyone sued Google News back in 2005 for excerpts and thumbnails? ), but there is no model emerging for them to fall back on as they keep giving more and more content away. I think the fact that nobody has had any success creating a way to work with the publishers to create a better less-cluttered reading experience that still monetizes well goes to show that there is no “easy” solution. Partnering with specific publishers, as Flipboard is doing, may work short-term, but the large media are still very reluctant to give up control of their content and readers this easily. Great post. However, I think there is a model which will be essential for the reassembly of the dislocated publishing business model. Publishers (news and others) need to quite literally become the point of discovery for their consumers. By allowing Google, Facebook, Twitter and others to be the “point of discover” publishers are relegated to brief visits with the consumer eventually hitting the “back button” to fly out and then into multiple sites to discover what they want. Sites like Zite, Flipboard, HuffPo, etc change this paradigm because they present a far greater selection of content and deploy algorithms to determine how to organize and present it. These new sites are better at being the point of discovery b/c they are not limited by the quantity of content they can afford to produce organically. New models and technologies (infrastructure really) are emerging to solve these issues for publishers. In this emerging paradigm, publishers can frictionlessly bring in content (full length article, photo and video) from a limitless number of sites across the web. This curation can be fully automated or completely manual depending up the business model and brand goals of a site. This mean that consumers can now explore or discover a potion of the web through the lens of the publisher rather than having to leave the publisher to find all they want. The other side of this coin is that publishers can make the economics of the new digital world work by only monetizing their content from those consumers they can coax to their site at any one time. Publishers must monetize their content where that content is in demand and there is someone willing to both pay for it and follow the guidelines established by any publisher. To accomplish all this two things are required a Digital Curation Platform (enable publishers to curate content in and authorize content out) and a Partner Management Platfrom (enables publishers to fire up or wind down partnerships regarding the use of content with the same ease as accepting a friend on Facebook. In full disclosure, this is exactly what we have been working on for the past two years with some rather shocking success…. We call it Content Logistix. I’m guessing that the reason Zite is getting a cease-and-desist order (and Apple/readability aren’t) is because of the way Zite built their apps. Readability and Safari ‘scrape’ the text on the client; they get the content as it’s served up from the publisher, then the user actually acts on that content to remove the ads. Moving this action to the client, results in something akin to a DVR … users simply zip past ads … which is legal. If Tivo stored the shows, removed the ads and re-served them, they’d be running afoul of laws. So either Zite has bad lawyers (doubtful), or they simply architected their app wrong! You could well be right, although that distinction seems so arcane as to make no legal sense whatsoever. I’m not saying you’re wrong, by the way — just saying those two approaches are fundamentally identical in every way that matters (unless you are a lawyer). If they are using freely available feeds, they publisher is responsible not the app. Cut the feed or allow it to be formatted however the end user (or the app they use) wants. I like Zite and Flipboard but every time I use either app I’ve wondered when this bomb would drop. Yes, we enjoy the reformatted content but the argument is correct. Using these apps rob the publisher of traffic and advertising revenue. The ads that have been paid for are stripped from Zite’s presentation. Ali Davar, Zite’s CEO knows this too and expected to be spanked. He admitted as much in his interview with Kara Swisher who originally posted this in All Things Digital. The content developed by these publishers is indeed their property and as owners they have every right to protect their interest. While many smaller publications may be delighted to have their content snagged by Zite or other aggregators, these guys are not. Your own article appears on a page loaded with advertisements. How many impressions would your advertisers lose of the majority of your content was treated as such? It was presumptuous of Zite to operate until caught. Now they have to own up to it. Why do publishers not go after Flipboard or other mainstream news aggregators. The only thing I have ever seen that is consistent with publishers is that they shake down the smaller companies as they are easier targets and cannot fight. hi Matt. looks like the exact problem Tivo and ReplayTV had. I think it was perhaps in Om’s book he wrote about Tivo’s work-around with the problems they would have with the movie/tv industry. They went to them up front and through a little sight of hand got there consent to go ahead- the fuzziness in my memory can perhaps be expanded with research that’d expose a way for companies such as ZITE to work with them. It doesn’t take an MBA or lawyer to see why the print media companies don’t both Apple- deep deep DEEP pockets. matter-a-fact what does apple have in deposits? Like $30 billion? Just checked, they have $26 billion in cash and short term investments. Ok… so what, specifically, should the media outlets do? Let’s get beyond the fuzzy “Find a way to work with them” stuff. Right. Aside from the Readability/Instapaper model, working with Zite et al means either 1) letting them take content and losing ads of 2) truncating the feed. Sure, there are perhaps ways to embed, say, 1 ad near the reformatted content, but that’s not real revenue. Look, the hard truth of this is that the content costs money to generate and that needs to be paid for. Since people won’t pay the full costs of doing reporting there are only 2 other models – all ad revenue or a mix of ad revenue and subscription fees. Zite could, for example, pay something to a media outlet for access, but then the issue just gets pushed to them – they need to either get money from their users or show ads. The essential problem we have is that we’ve never, as consumers of information, had to pay the full cost of that. Ads made up the rest. We’ve moved into a world where that doesn’t work so we need to either find ways to make the ads generate more revenue, start paying for content or the content producers need to radically cut costs so that the revenue that digital content generates works out. But we also need to stop acting like there’s magic pixie dust that will give us a new business model someday. Rick — I’m in agreement that it’s naive to think that aggregators and publishers will magically sink into a mutually beneficial relationship (although to be honest, I don’t think it’s an intractable problem, and without belaboring the point, there are actually some pretty obvious business models for making it work – which isn’t to say that doing so would be frictionless). But I think that’s beside the point of the article’s central premise about lessons to be learned. Pundits make it seem like “free” rules the world, but it’s an overblown POV and, in my opinion, a bit of a straw man. People will (and do) pay for digital content. In many cases, they pay very much for digital content. If you look at Amazon, Apple, and Netflix’s platforms, for example, it’s pretty difficult to draw any other conclusion. 2) Disrespecting readers by interrupting them with advertisements. There’s an obvious third option, which is to embrace the new possibilities afforded by new form factors and reading habits, and to stop thinking about how to fit a 19th-century business model to the present. And of course, to do it well and charge for it. Here’s the big takeaway (or should be, anyway): Flipboard et al. have created truly new and enjoyable ways to interact with content while major content producers are, for example, spending $40mm to create paywalls that require an astrophysics Ph.D. to decipher (and seem to be designed to drive readers back to print). Publishers going after aggregators is sort of like the music biz blaming filesharers: They might be partially right, but mostly, they’re diverting attention from the real problem: To be good at what you do requires caring about your product. Digital, print, whatever — if you forget that very simple point, you’re toast. There’s money out there folks. You just have to do something that deserves it. We need to get beyond phrases like “…embrace the new possibilities afforded by new form factors and reading habits…” and start actually getting specific. More than anything, that’s my point. If I was a publisher reading that I’d have no idea of what you think I should actually DO. Could a publisher create something like Flipboard or Zite? Sure. Publishers with a variety of media properties could do that and make it interesting even. Would people pay for it? Some would be something, yes. Would people pay enough to come close to current revenues? I doubt it. Aside from the structure of the payment scheme, look at how many people are saying that $35 for the top tier of the NYT subscription is too expensive. Mind you most of them pay more for their morning coffee… but it’s too much. So, yes, people will pay, but not more than a nominal amount. Netflix? $8. HuluPlus? $5-10 last I checked. To sum up – I’m not arguing that publishers are doing the right things. I’m arguing that commentators and analysts who decry what they are doing need to stop talking in vague terms or that we all need to admit that the next step isn’t, in fact, all that easy or obvious.